It's now September, which means I'm moving into my new house soon. Just a few more weeks to go! I'm really looking forward to the fresh start, although I'm pretty nervous/anxious about all the finances etc that are going to go along with it! Anyway, one of the fun parts for me is going to be redecorating as the house needs a wee bit of work. I'm not going to be able to afford to do it all now, but I've already started planning how I would like things to be. I can't help but get a bit carried away! This is hopefully going to be my house for the foreseeable future & I'm reckoning that over the years I'll do a bit here and there. I'm planning a Scottish theme for my living room. 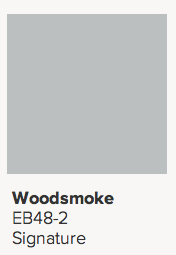 I'm thinking purply pink heather, grey granite (or miserable foggy sky!) and blue lochs! 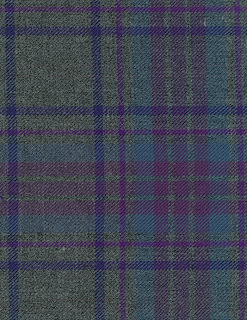 The living room has a bay window and I'm looking for a tartan curtain material that is going to pull together the colours grey, blue and a pink/purple. 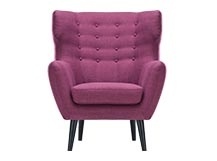 I already own this chair from made.com and it was the feature in my bedroom, but my new bedroom isn't going to be big enough for a chair, so this will now feature in my living room. The one item that I do need to buy is a sofa, and now that I don't have a guest bedroom, I'm reckoning that I will get a sofa bed instead for when Auntie Ali comes to stay. I'd love a grey velvet Chesterfield sofa bed, but need to do some more investigating and I think I'll wait until I'm in the house before I make any decisions. Instead of a mirror or a painting, I'd love to have some deer antlers above the fireplace. The room isn't big enough for an actual stag's head, but I thought that would have been a rather impressive addition. The things you can find on eBay! 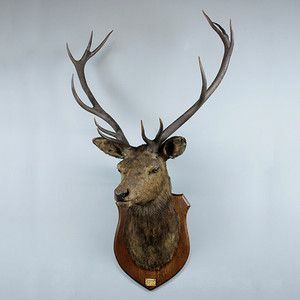 Royal Stag's Head on eBay - £895!! 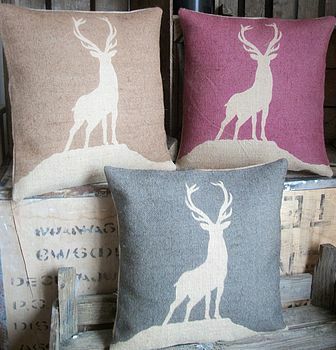 Any maybe some stag cushions for the sofa whilst I'm there! Any other suggestions for a Scottish theme room? Check out http://www.hornybeasts.co.uk/bespoke.html for all things antler. I don't think it is on their website, but I bought a faux antler candleholder of theirs from Wonderland in Balfron. Love your chair and the grey velvet Chesterfield. Unfortunately I have house cats and claws and velvet don't mix! Thank you - I'll check out that site. Yes, no pets anymore with me... I can see that that would be a problem! 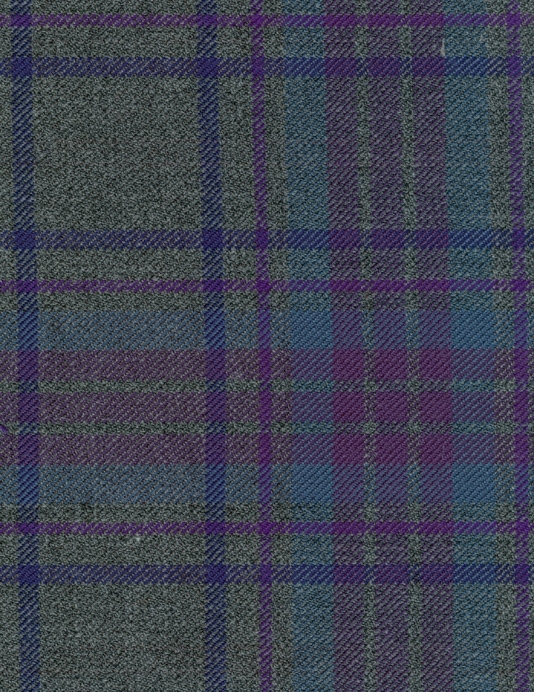 I love the tartan colour, and the colour scheme in general. This is the kind of look I think I'd go for when we finally move. If you're looking for a stag head type feature, one of my friends has an awesome material stag head. it sounds naff but it looks really cool, no idea where she got it from though, but I bet a quick tinternet search would bring up something similar. Hello! I love the tartan in your pic. Did you manage to find that fabric anywhere? 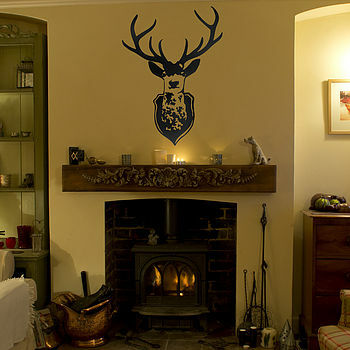 Surely, the Scottish theme won’t be complete without stag heads hanging on the walls. Haha! 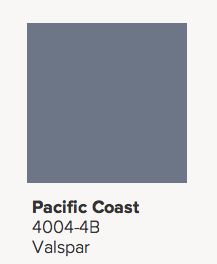 Anyway, your color scheme for the room is great. 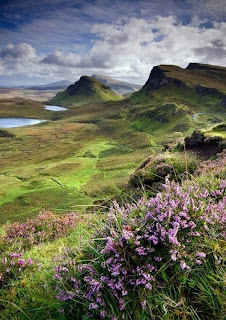 It’s quite cool in the eyes, and it gives off the feeling that you are residing in the highlands. I think it would be great if you have a chandelier in the living room, so as to make it look cozier. Thanks for sharing! Hope to see more updates in the future.